Best 15x9 0 offest option? - Miata Turbo Forum - Boost cars, acquire cats. 6uls 9s might now work on an Exocet and I don't want to run 30mm spacers. What are some good 15x9 0 offset options? So far I have found Tracklite Holeshot and Rota Grid Vs.
Rota Grid V is always a positive vote for me. You have 15 post and -5... Your opinion means nothing here. I wish those Traklites were a little better looking for you Exocet guys. There is a dearth of any lightweight/performance oriented in 15x9 ET0. Are you dead set on 9's or would something in a 15x8 et20 work? Like Konigs, or the RPF-1s that just came out in that size? There is a dearth of wheels in that fitment because the smart people that make cars figured out negative scrub radius in like 1962. No car built in the last 30 years or so is built around 0 offset. I suggest bolt in hub adapters and whatever lightweight wheel suits. Custom CNC or 3 piece wheels are the $$$ option to get super concave centers. If you can go up to 15x10 your options open up immensely because circle track. The lightest of those options that arent silly expensive do involve wide 5 to 4x100 adapters though. 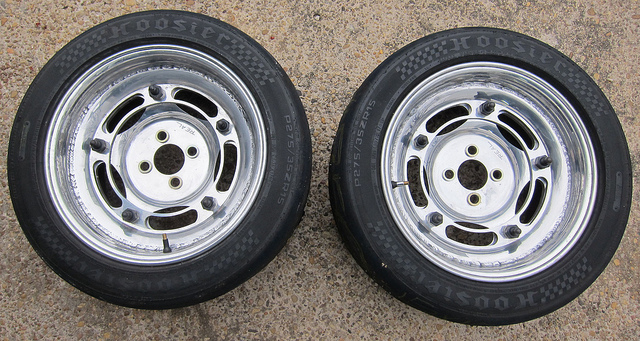 The only "legit" wheel that isn't custom made I can think of that is light and has a low offset is the Volk TE37v. These are things I'm very aware of and hoping with the right spring. shock stiffness, and camber we can run a 6ul with 10 or 15mm spacers without rubbing without sacrificing handling. Don't think It would fit but will look into it. Wondering if a 245 A7 with a 1600lb car would not over heat in a 20 or 50 minute race. Know some Vett guys that use to do a6 with over sized tires to keep them cool. They would wreck house. If the IT guys are able to keep 225 A6s on the front of their 2000lb+ fwd cars for a 20-30 minute sprint race with some tire management I dont see why you couldnt do it with a 1600lb better balanced car with wider tires. Now I'm not sure why you would want to run A7s on a car like this they're expensive, only fast fast for a couple weekends, and what are you trying win here. Hey brahs I won the HPDE I'm so good a driving I wore my fire suit the whole day, even to dinner after so that everyone would know how great I am. NASA ST3 wheel 2 wheel. The Maxxas rc1 are my HPDE instructing tires. The Exocet is actually competitively classed? ^ yep it's st2 with a turbo. It wont be with the stock motor, bolt ons, and MS but should be with a k20/24 and at the 9:1 class limit. Boost and anything over 1.9 adds penalties weight. Estimated 175whp limit with k24, 180whp with k20 but we don't have our final comp weight yet. i Google-d "Wide 5 4x100 wheel adapters" and it looks like they are everywhere. Last edited by OGRacing; 01-19-2015 at 03:38 PM. NB8B / 15x9 / 225.45.15 - How low can you go? Quick Reply: Best 15x9 0 offest option?